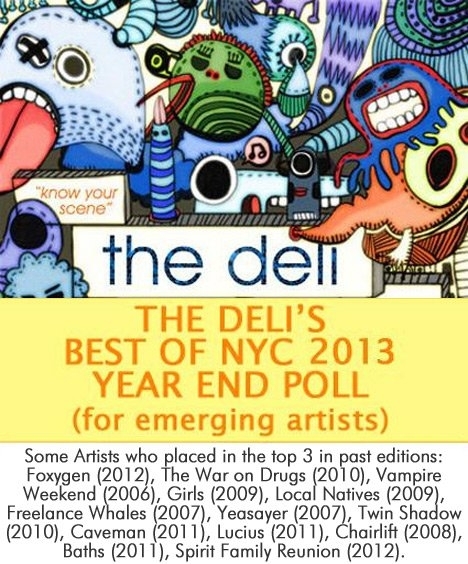 OK, the first phase of The Deli Philly’s Year End Poll has come to an end, and we have the results. The Open Submissions leaders are a testament to the diversity and talent in Philadelphia. Of course, the Philly editor wasn’t eligible to vote for the bands in the Philadelphia area scene. Instead, the submissions were voted on by three other editors from different Deli cities, including our Editor-In-Chief Paolo De Gregorio. WHAT’S NEXT: Now that the first stage of the poll has come to a close, the next step is to unveil the artists nominated by our local jurors: venue/independent promoters, bloggers, etc. (in other words, the people who are paying close attention to our music community). Then, our readers and writers will get a chance to vote on the poll. A big thanks again to all of the bands who submitted their music! We hope to see you all continue to evolve with your projects that help to make Philly such a rich and diverse music community.